Why Should I Consider Leasing a Vehicle? You may have noticed that Hanson Subaru in Olympia has a number of excellent Subaru models available for purchase or lease--but which one is right for you? If you're unsure whether you'd be happier buying or leasing a vehicle, we've put together a bit of information for you. Read on to find out more! 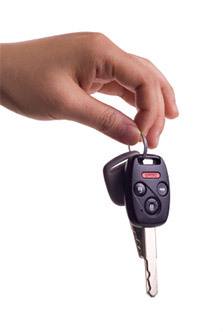 When you lease a vehicle, you essentially pay to use it for a certain amount of time. This stands in contrast with buying a vehicle, where you pay for the entire vehicle. Many people enjoy the feeling of owning a vehicle, and ownership can also give you more options with how you use your vehicle--for example, there's no limit on how many miles per year you can drive. There are many benefits of owning; however, leasing has its own unique advantages. Vehicles are investments that tend to depreciate over time. When you own a vehicle, each year that passes gets you less of a return when you decide to sell it. This is not the case with leased cars--when your lease is over, you simply return your car. Leasing is also cheaper--not only do you owe less up front (if there is an amount due at the beginning, it's almost always much less than a down payment), but monthly costs tend to be less when you lease than when you finance. Because vehicles require more maintenance--and more expensive maintenance--as they age, leasing a vehicle means you won't have to spend as much on service. Moreover, when you lease a vehicle, the lease generally lasts for two to three years--this means that you'll get to drive a new vehicle more often, and you won't have to deal with the hassle and depreciated value of selling a car that you own. Hanson Subaru in Olympia is proud to have many new Subaru models available for lease. If leasing a vehicle sounds like the way to go for you, look through our impressive inventory of new Subaru models to find something that you love. Schedule a test drive by giving us a call at (888) 490-9863, then come to Hanson Subaru, serving Lacey and Tenino. We can be found at 2300 Carriage Loop SW, Olympia, WA 98502. We look forward to helping you find a great lease!